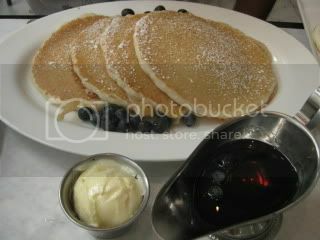 We stayed in Downtown over the weekend and the following Labor Day morning, we walked to Bottega Louie for brunch. 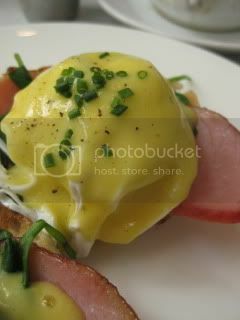 Their Eggs Benedict is a very classic style with Canadian Bacon and nicely poached egg on top of English muffin. The hollandaise sauce is not too heavy or too saucy. Right on. Jason's lemon ricotta pancakes were nice, too.